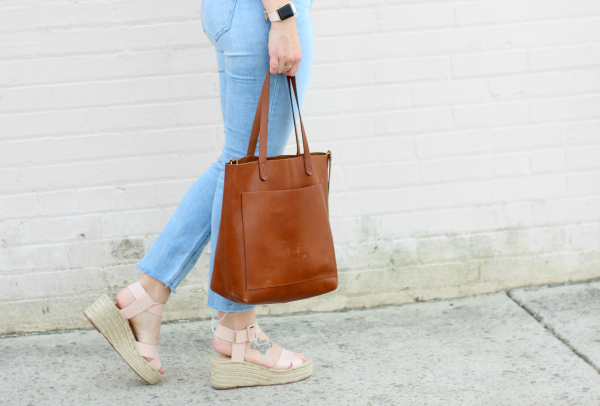 With Style & Grace: Does it Come in Blush Pink? Happy Thursday! Yesterday was pretty low yet productive. I worked on cleaning out my closet(s) for my closet sale that I'm having at my house this coming Saturday morning. I'm selling tons of gently used clothes, shoes, bags, and jewelry for great prices because it's all got to go. If you're local, be sure to contact for all of the details! Today is all about my love for the color pink. Every since I can remember, pink has been my very favorite color. If there's a pink option, that's the one I will always choose, every single time. 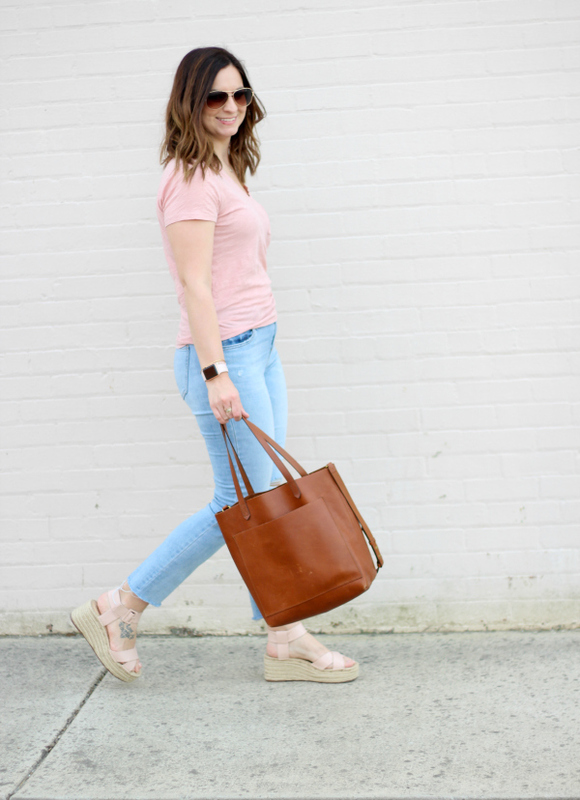 Over the past couple of years, I have gravitated towards blush pink. 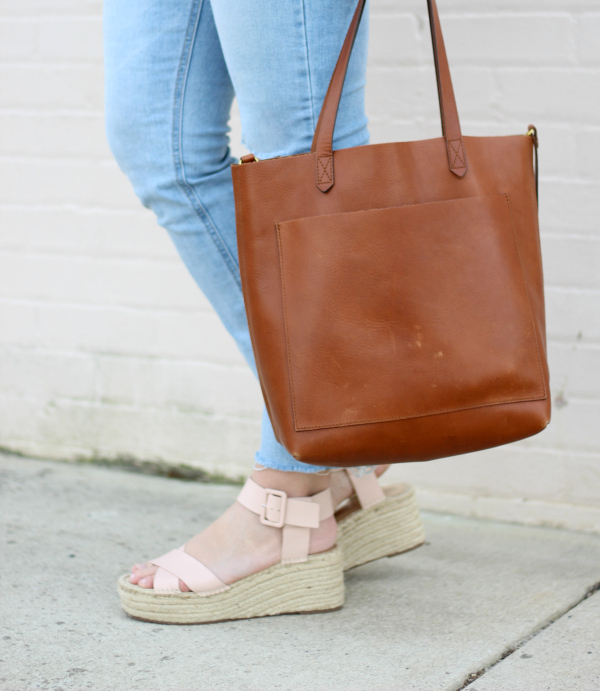 When I find something I like (such as these gorgeous espadrilles), I always have to find out, "does it come in blush pink?" I'm way more likely to buy it if it comes in blush. I feel like it's the neutral version of pink that fits my personal style perfectly. I think about half of my closet is this shade of pink! This outfit that I'm sharing today has a double dose of my favorite color. 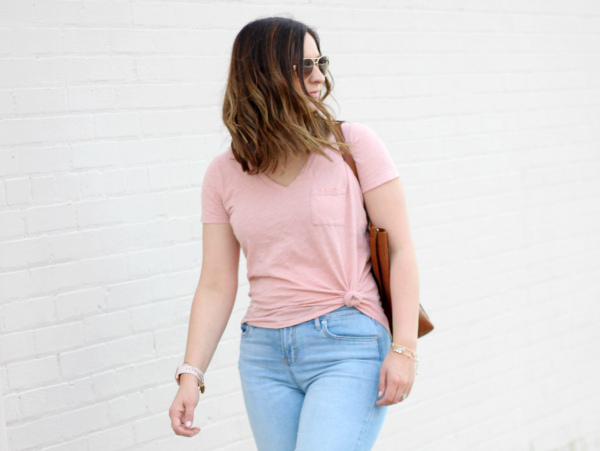 I'm not always a matchy matchy kind of girl but I loved this combo of slightly different shades of blushy pink. This is the second pair of these shoes I have purchased! I love them because they give you height without sacrificing comfort, which is a win-win for me. Being stylishly comfortable is what I'm all about!